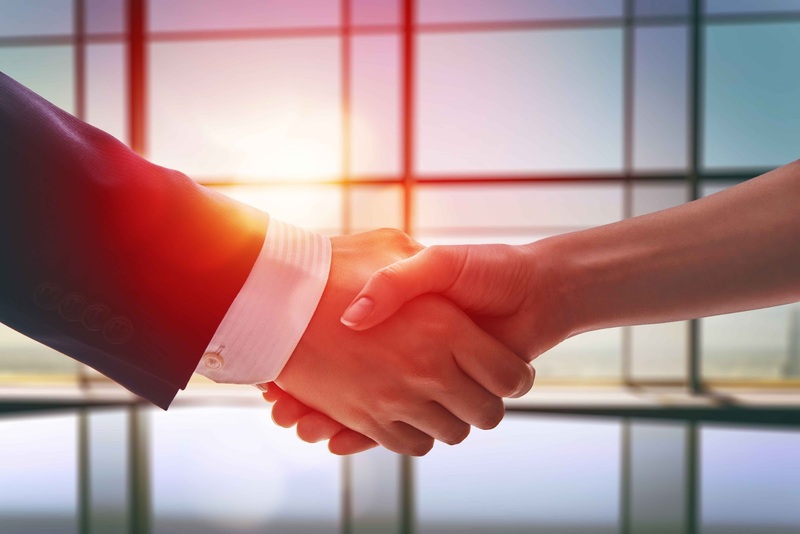 With over 700 satisfied clients and branches in Aruba, Bonaire, and Curacao, VCC International enjoys its position as the leading distributor of business software packages in the Dutch Caribbean, but we're much more than that. 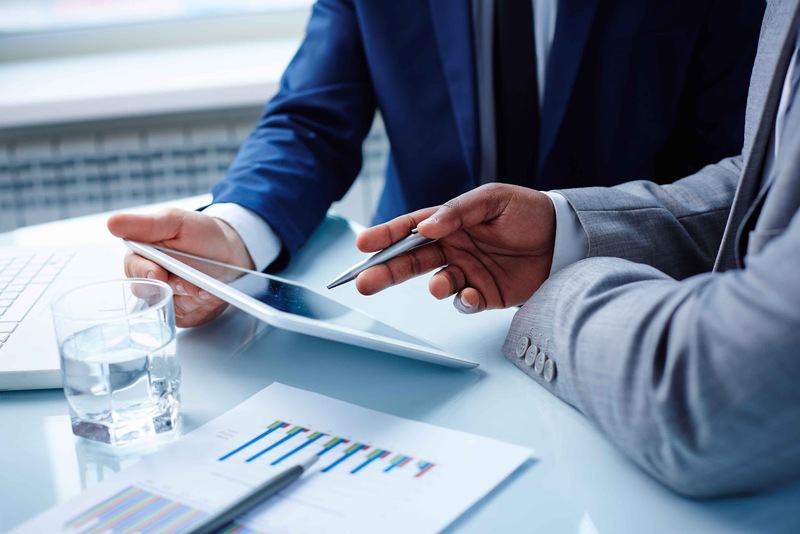 Drawing on our 20+ years of experience, we go way beyond the standard functionality of software to provide highly customized IT solutions for a wide range of businesses. 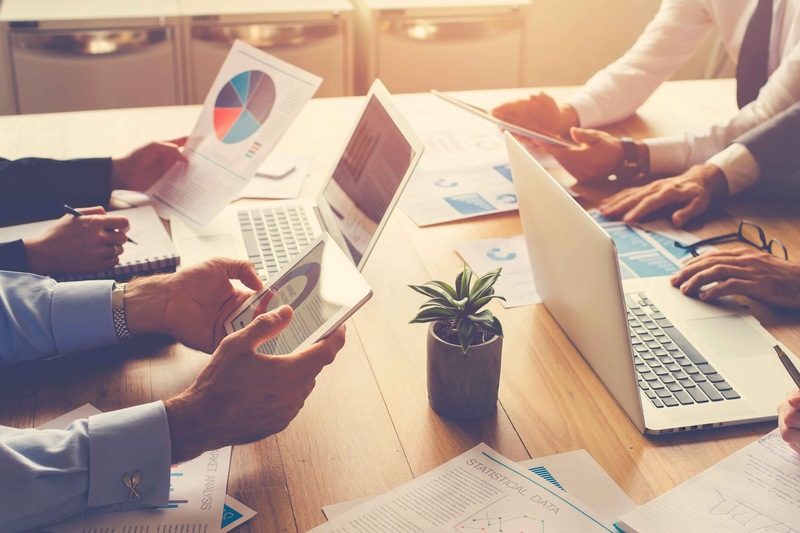 In fact, we thrive on masterminding the perfect solution to meet your business's unique needs and turning the seemingly impossible into the possible. Always there, everywhere, like no other! 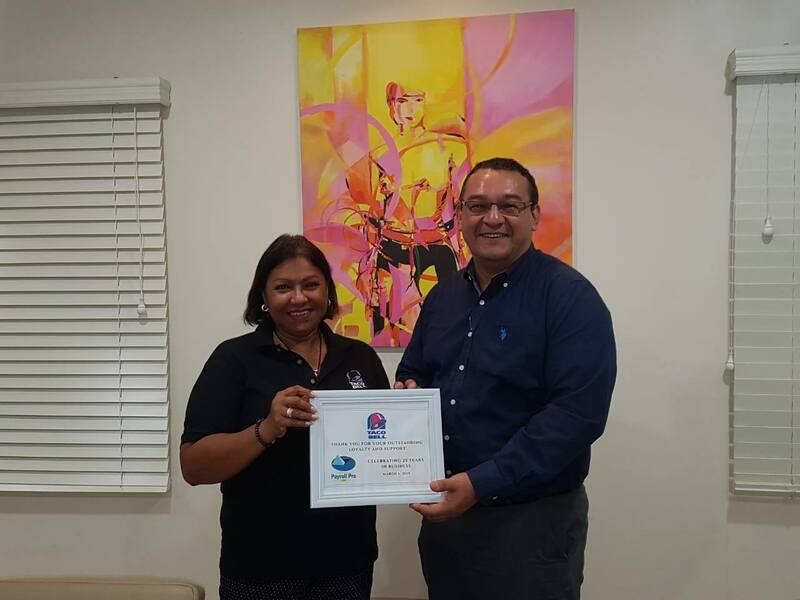 Recientemente Taco Bell a ricibi bishita di Payroll Pro HRM. Taco Bell ta cliente fiel di Payroll Pro HRM desde 2002, dus pa 17 aña caba. Nos ta gradici Taco Bell y Sra. Lisbeth pa e lealtad y support durante e añanan. Ta danki na clientenan fiel manera nan nos por celebra e aña aki nos 25 aniversario. 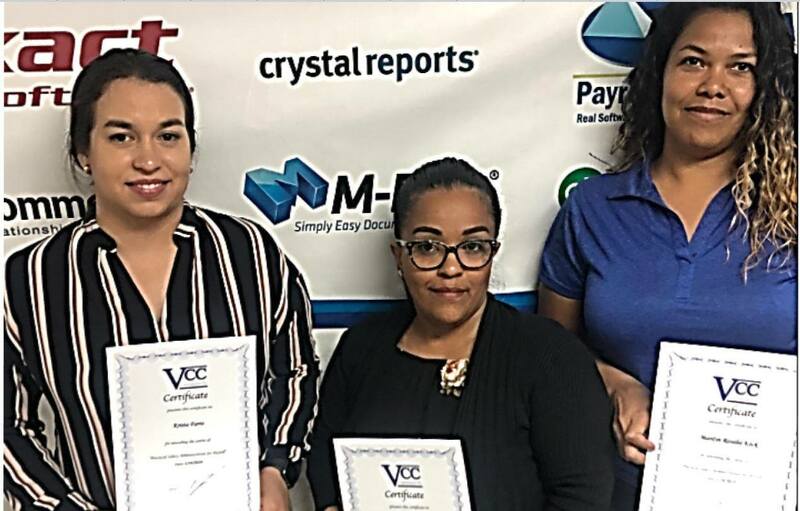 We had the pleasure of giving these paymasters "Practical Salary Administration for Payroll"
Congratulations: Krista Farro - Judithza Maduro Richardson - Marilyn Rosalia Kock. It was nice to have you girls at the Course. 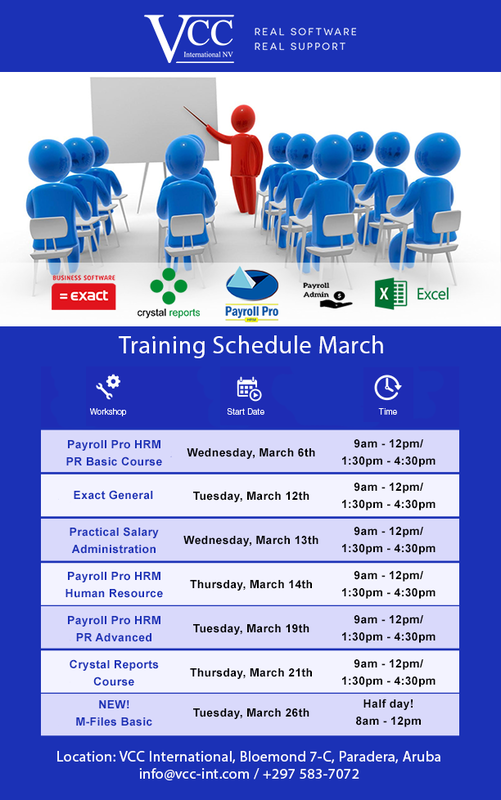 Our March course schedule for Aruba is out! Take a proactive approach to expand your knowledge and skills! Courses are normally given in Dutch, but depending on the group can also be given in English or Papiamento. 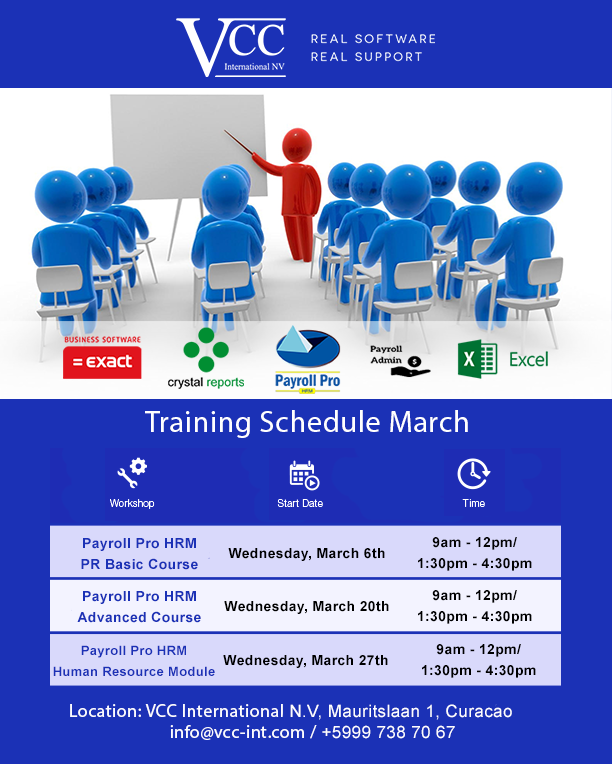 Our March course schedule for Curaçao is out! Take a proactive approach to expand your knowledge and skills! The prices are ANG 500.00 including taxes per person. Location of the courses is at the VCC International office at Mauritslaan 1.